In How to be an Academic Superhero: Establishing and Sustaining a Successful Career in the Social Sciences, Arts and Humanities, Iain Hay offers a guide to how early career academics can develop their careers while meeting the ever-growing expectations of universities. While the book does not overtly challenge the institutional demand for scholars to be ‘academic superheroes’ and occasionally offers contradictory advice, Iván Farías Pelcastre nonetheless finds this a realistic and valuable contribution to the literature on academic career-making. How to be an Academic Superhero: Establishing and Sustaining a Successful Career in the Social Sciences, Arts and Humanities. Iain Hay. Edward Elgar Publishing. 2018. To outsiders, academia is often conceived as a realm of privileged isolation, removed from the practicalities of the so-called real world: an ivory tower where individuals are able to pursue their intellectual interests detached from the everyday concerns of life. For many early career scholars, however, academia is a precarious – even outright inhospitable – environment that creates feelings of stress, failure and unhappiness. One where building a career is mostly an arduous and lonely endeavour without well-defined ends or incentives. While circumstances do vary across disciplines, countries and Higher Education institutions (and sometimes even across faculties and departments within them), there is growing evidence that the experiences of early career academics (ECAs) in the fields of Humanities, Arts and Social Sciences (HASS) are far removed from the ivory tower allegory. Widespread redundancies; growing levels of casualisation; unrelenting pressures from increasingly competitive and shrinking job markets around the world; novel forms of workplace surveillance; intensified demands from HE institutions to raise the output and productivity of academic employees; and unrealistic expectations to accomplish an ever-growing number of tasks with ever-decreasing human and material resources (1). These characteristics have shaped contemporary academia, especially in the HASS disciplines, and the opportunities of ECAs to develop careers within them. A growing number at many institutions around the world now work (and are overworked) only to maintain transitory and precarious job appointments that will not enable them to progress (or even keep their place) on the academic job ladder. 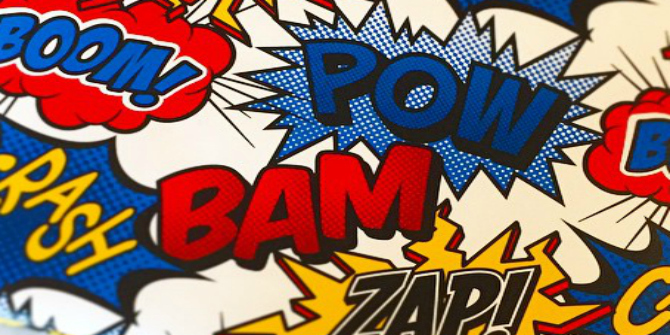 In How to be an Academic Superhero: Establishing and Sustaining a Successful Career in the Social Sciences and Humanities, Iain Hay aims to address one of the root causes of these problems: the institutional demand for ‘academic superheroes’. In Hay’s view, ECAs are unable to develop stable, secure and fulfilling careers in academia, not because they are not accomplishing their responsibilities under the holy triad of teaching, research and administration, but because universities and other HE institutions are expecting ‘academic superheroes’. the academic superhero conforms to university strategic priorities, […] is always alert […] and ready to deal with the multiple uncertainties that beset the higher education sector … [S/he is] collecting business cards for the next round of student placements, […] smiling graciously at the crowds of prospective students at Open Day while publishing prodigiously and creating innovative learning opportunities for their students across multiple media (3). While nearly all HE institutions provide a range of training opportunities to help ECAs further professionalise themselves, most have become too large to offer comprehensive advice on how to develop holistic, stable, fulfilling and well-paid careers. Meanwhile, ‘senior academics are too busy to offer the kind of support that might have worked at Oxbridge in 1900’ (2). ECAs are then often left on their own to figure out how to turn their achievements into job appointments that allow them to pursue their academic, professional and personal objectives. 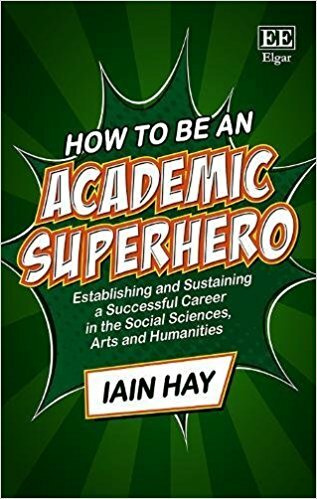 In How to be an Academic Superhero, Hay offers such a compelling and thorough guide for ECAs on how to develop their careers in academia, while meeting the (often outlandish) expectations of HE institutions. Hay provides concrete and actionable advice on how to build a career and create a niche for oneself in academia, while feeling confident and fulfilled as a research-oriented scholar. 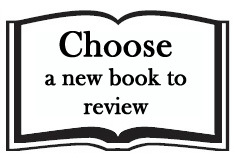 The book’s main strength is giving an honest account of the current state of academia for ECAs, complemented by useful recommendations on how to move more efficiently, quickly and happily up the academic ladder. His advice starts by acknowledging that there is no such a thing as an academic with a balanced set of responsibilities. Hay admits that no ECA – most likely, no academic at all – will ever manage to achieve the ‘perfect triad’ of teaching, research and administration (91). He therefore recommends ECAs to not aim to balance these. Instead, the author explicitly advises ECAs to focus almost exclusively on research. Reiterating the view that many senior scholars and heads of department have about contemporary academia, Hay carefully explains that there is only one way to progress up the academic ladder: produce and disseminate research, mainly through publication. He warns ECAs that other crucial services to the profession (and society), such as teaching, mentoring and training other scholars, engaging the public and volunteering in projects with a direct impact on the community, are secondary in importance to publishing peer-reviewed research. For instance, Hay argues that ‘for a teaching and research academic, the ideal day is a long day spent entirely on research activities without the interruptions of […] teaching tasks’ (99). In this understanding of the profession, devoting time and attention to teaching duties is seen as an especially bad choice, especially for ECAs (100). Sadly, but accurately, Hay advises ECAs to commit as little time as possible to teaching or other professional activities and service. At times, this strong emphasis on research leads to contradictory advice. Although Hay recommends ECAs ‘treat all elements of teaching as serious intellectual endeavours, as demanding and challenging as their research’ (153), he also warns them against giving ‘disproportionate attention to the quality of their teaching’ (151). He advises that research ‘efficiencies can be achieved by cutting preparation time for teaching’ (104), and that disciplinary reputation can often be secured by engaging in projects that can ‘buy [ECAs] out from teaching to focus on research’ (6). Similarly, he considers that while gaining a teaching qualification might further professionalise the careers of ECAs (155), the time required to complete it will likely reduce opportunities for research (157). Regrettably, all his advice rings true. As Hay concludes: ‘in so-called research institutions, [professionalising yourself as a teacher] may mark you as someone who is not quite fully serious about the serious business of serious research!’ (157). It is worth noting, therefore, that Hay does not challenge the notion of the ‘academic superhero’. Instead, he acknowledges the demands of HE institutions and only aims to deliver a guide for ECAs to fulfill them. This is because, as with many senior scholars, Hay does not regard the search for and the passing of knowledge to younger generations as the raison d’être of contemporary academia. 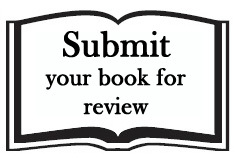 Instead, Hay regards the publication of research for the sake of it as the cornerstone of HASS disciplines. ECAs who are not interested in pursuing a research-oriented academic career, those trying to challenge the profession’s current obsession with high-impact, published research and those not willing to perpetuate the lone scholar tradition that characterises the HASS disciplines (148) should then take his advice with a pinch of salt. 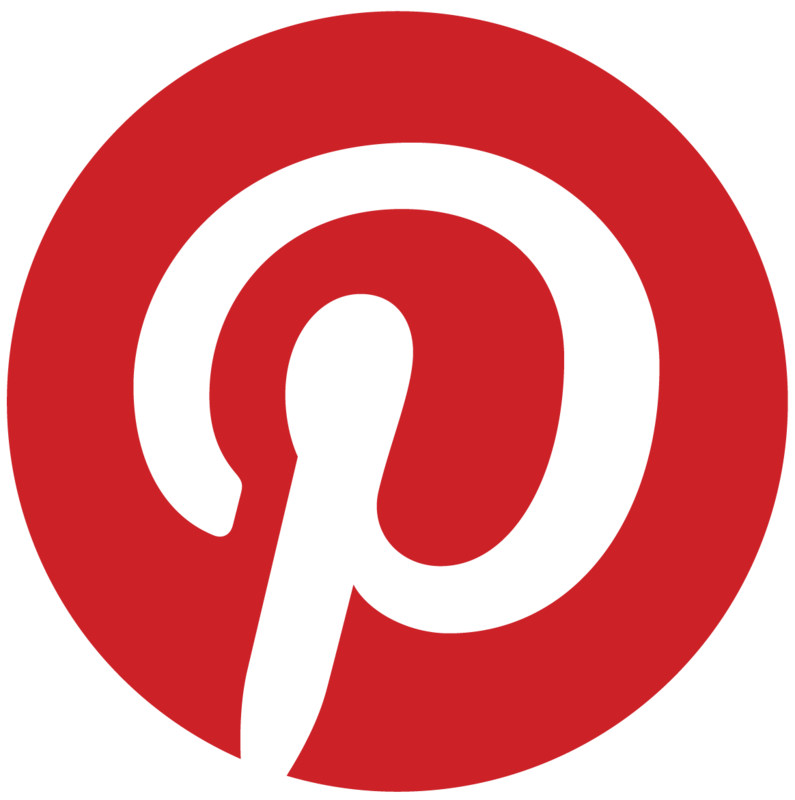 For instance, at one point, Hay warns ECAs to ‘just don’t’ blog! (133). 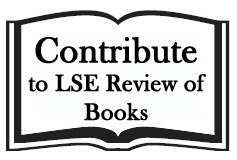 Should all ECAs follow this advice, online platforms such as the various LSE blogs, including the LSE Review of Books, E-IR, The Duck of Minerva and all these other influential blogs would not exist. Suggesting ECAs should not blog at all deprives us of learning more about the views, work, interests and endeavours of these experts, and their increasingly important role in the early and prompt discussion of scholarly information. While it is already well-known that some senior academics misunderstand the nature and potential of new technologies, this should not be seen as a licence to perpetuate these views. Hay’s recommendations, in general, should therefore be received judiciously. In balance, it can be argued without hesitation that Hay’s book makes a realistic and very valuable contribution to the literature on career-making in academia, especially in the HASS disciplines. Hay’s most valuable advice is cautioning ECAs that ‘academic staff who fail to understand or ‘‘fit in’’ to the local cultures [of their corresponding institutions] are likely to find themselves at a significant disadvantage’ (53). 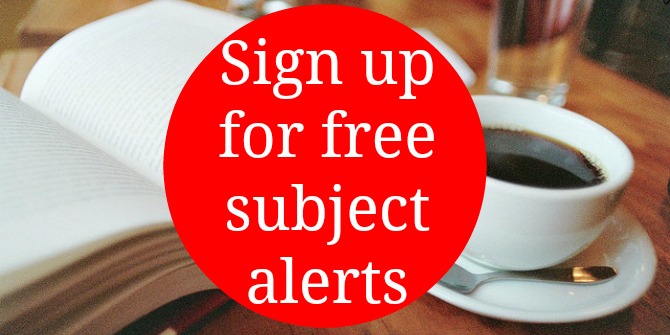 And as more and more HE institutions demand academic superheroes, Hay’s insight will become even more relevant to ECAs who are keen to develop a research-oriented career within the HASS disciplines. And even for those ECAs who are less interested in following this route, the book will be a very good starting point in their search for alternative paths, in and outside academia. Iván Farías Pelcastre is a Guest Researcher at the Centro de Estudios Políticos y Constitucionales in Madrid, Spain. He holds a PhD in Political Science and International Studies from the University of Birmingham and a BA in International Relations from the Tecnológico de Monterrey. He has previously conducted research on the political integration between Canada, Mexico and the US resulting from the operation of the North American Free Trade Agreement (NAFTA), its side and parallel accords and their corresponding institutions. He currently conducts research on the political and social linkages between Europe and Latin America. Read more by Iván Farías Pelcastre.